We have an extensive network of distributors around the world. Our range of products allows us to develop or checka wide variety of Topography and Civil Engineering projects and include everything from field applications to powerful office applications. Solutions to simplify the work of technical offices of public or private companies supplying water, sanitation, gas, electricity, telecommunications, etc. With our field applications, parcel surveysare carried out using total station or GNSS receivers, and with the desktop parcels are designed and integrated with GIS and web map services. Our range of products covers everything from generating geomatics products from photographs captured by drones to photogrammetric restitution. In addition to tools for terrain modelling, our software facilitates the subdivision of parcels, road design for urbanisations, integration with BIM and much more. Our applications are educational and simple, they are therefore used in many universities and training centres. Our products letyou use the geographic information of web services and open data, and generate results that can be easily integrated into corporate GIS. Solutions that facilitate the development of road projects, railways, tunnels, dams, power lines, pipes and all types of civil works. Our applications make it very easy to perform surveys with GPS and total station as well as traverse compensation and coordinate system transformations. 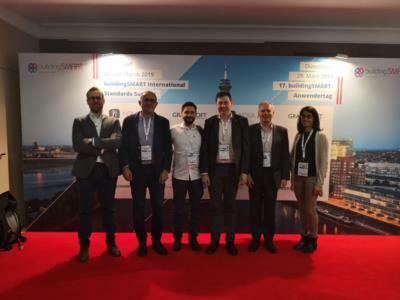 APLITOP actively participates with buildingSMART International to implement IFC Alignment and IFC Road formats, which will be used in the exchange of open data of land, roads, railways, tunnels, etc.